Credit is neither good nor bad. But how you use yours will either positively or negatively impact your financial health. Here’s what you need to know. Susan Pack, CPA/PFS, CFP® of Pomeroy Financial Planning, puts it simply. 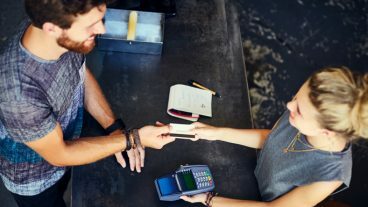 “Credit represents your promise to repay a company or a person for entrusting money, property, or services to you,” she explains. Revolving line of credit. This is the type of credit you get when you open a credit card. You can make charges to the card and you can carry the balance forward from month to month (which is where the “revolving” comes in — the debt revolves to the next month). You make payments on that balance. If you don’t, you’ll owe interest on your charges and your debt can start to snowball. Charge cards. These are similar to credit cards, but the balance does not revolve. You need to pay it in full each month. Service credit. This type of credit is from credit arrangements you have with service providers like utility or cable companies. You receive their service and agree to make a payment for it after that service is delivered each month. Installment credit. This credit comes in the form of a loan. You borrow a sum of money from a lender and agree to pay it back over a certain period of time. Your monthly payments include principal (the money you initially borrowed) and interest (the fee the lender charges for letting you borrow money). Credit is neither good nor bad. But how you use yours can impact your financial health. Having good credit generally means you pay back the money you borrow or charge to a line of credit on time. It also indicates that you know how to manage your cash flow. Using credit requires you to understand your finances and know how much you can afford to repay without dropping the ball on existing debts, bills, or expenses. If you’ve never borrowed money, gotten a credit card, or financed a purchase in some way, you likely have no credit. Having no credit may limit your ability to borrow. Not having a credit history may can make it difficult to get approved for certain credit cards or financing offers. It can also present a challenge if you want to borrow money one day for a big purchase, like getting a car loan or a mortgage to buy a house. It takes time to build a positive credit history and build a good credit score, so start with these tips in mind. Getting credit for the first time is a big milestone in your financial life. Only borrow money if you truly need it and don’t borrow more than the amount you need for a specific purpose. Understand how much your monthly payment will be before you sign on the dotted line, and include that payment in your budget. Make sure you can afford to repay what you borrow. Look for a credit card with no fees and apply. Once approved, use your card for specific purchases. For example, designate your card for grocery purchases only. This way, you don’t carry high balances but steadily use your card, which helps build credit. Keep low balances on your card. Know the credit limit and only use 25% to 30% of that limit during each statement cycle. Continue using your card for 12 to 18 months in this way. Over time, with steady use and on-time payments, you’ll build a positive credit history — which is the biggest contributing factor to good credit. A credit score is a three-digit number that indicates your creditworthiness. Scores range from to 300 (poor) to 850 (considered perfect credit and hard to achieve). 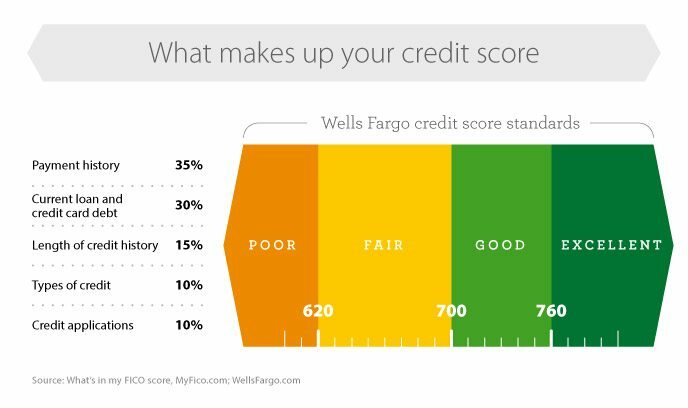 There are a few different types of scores, but your FICO® score is the credit score that matters when it comes to working with lenders. In fact, 90% of financial institutions look at your FICO® score to determine how dependable you’re likely to be as a borrower. In this case, “dependable” means how likely you are to repay what you borrow on time and in full. The higher your credit score, the more dependable you look to lenders. The lower your score, the riskier you seem as a borrower. They don’t disclose the exact formula they use to determine credit scores. But FICO® does share the 5 factors they use to calculate a number for you (and how they weight each). Factor How Is It Weighted? What Does It Mean? Payment history 35% This is your history of making payments when you owe money. Your history of missed and late payments are reflected here. Amounts owed 30% This is a ratio that represents how much credit you have versus how much you use and how much you owe. Length of credit history 15% This is the average age of your credit accounts. The longer you maintain credit, the better it is for your score. Credit mix 10% This shows the different types of accounts you have. Having a revolving line of credit while also paying down an installment loan, for example, indicates that you can successfully manage your debts. New credit 10% This accounts for how many new accounts you open or loans you take (opening several at once indicates to lenders that you’re a greater risk and lowers your score). Your credit card statement. Many lenders now offer the benefit of including your FICO® score on your statement or within your online account portal. This is available to many eligible Wells Fargo credit customers. Companies like AnnualCreditReport.com. Many online companies can provide an estimate of your FICO® score, but may charge a fee to obtain it. Your bank. Wells Fargo provides eligible customers free access to their FICO® Credit score; many other banks allow customers to check their FICO® score quarterly or annually. Your lender. When you take out a loan, your lender can provide your score. Start making payments in full and on time on all balances you carry. Limit the amount of new accounts or increased balances you take on while you work to pay off existing debts. Don’t open or close many new accounts all at once. Doing so indicates you could be struggling with your cash flow. Keep low balances on credit cards. Try to avoid charging more than 30% of your credit limit when you use your cards. Again, it takes time to repair credit and improve your credit score: You need to be persistent and patient. Taking these actions over time — especially paying your bills on time and in full — will eventually help raise your score. 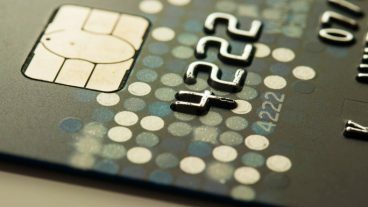 “A credit score helps companies know who will repay them and who won’t,” explains Pack. She says your credit score matters because, eventually, it means the difference between whether you can borrow money for large expenses or not. That might include buying a house or starting a business one day. Pack says that, in the near term, your credit can impact things like auto insurance rates and other everyday expenses. 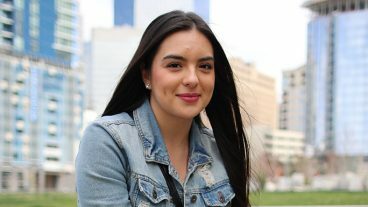 “It also strongly impacts the interest rate you receive when you borrow money,” she explains. That might be the biggest reason to care about your credit. The better your credit, the better the interest rate a lender will offer you on a loan. Better credit may also translate into higher credit limits and lower APRs on credit cards. That’s a big deal, because you’ll spend less to borrow money. The higher your interest rate, the more it costs you to borrow money or carry balances. On major purchases, like property, even one point of difference (for example, from 3.5% to 4.5%) on the rate of a loan can mean spending tens of thousands of dollars more in interest. In addition to understanding and checking your score, you want to periodically check your credit report. Your score and your report are two different things. Your credit report is a document that credit reporting companies, or credit bureaus, compile. It lists your full credit history — every time you’ve opened a new credit card or borrowed money. You can check your report for free once a year by requesting a copy from AnnualCreditReport.com. If you request your report more than once per year, you’ll pay a small fee to receive it (which can be no more than $12.95). When you get your credit report, it will show all your accounts, balances, and lines of credit. It will also show any financial judgments against you, like liens and bankruptcies. These black marks stay on your report for seven years. Check your credit report to make sure all the information is accurate. If you find a mistake, you need to contact one of the three credit bureaus (specifically, the one who issued your credit report) to dispute the error. The three bureaus are Experian, Equifax, and TransUnion. If you have more questions about credit and how to use it, reach out to your bank and speak with a representative. They can share options for using credit available to you and help you create a plan to repay any money you want to borrow.